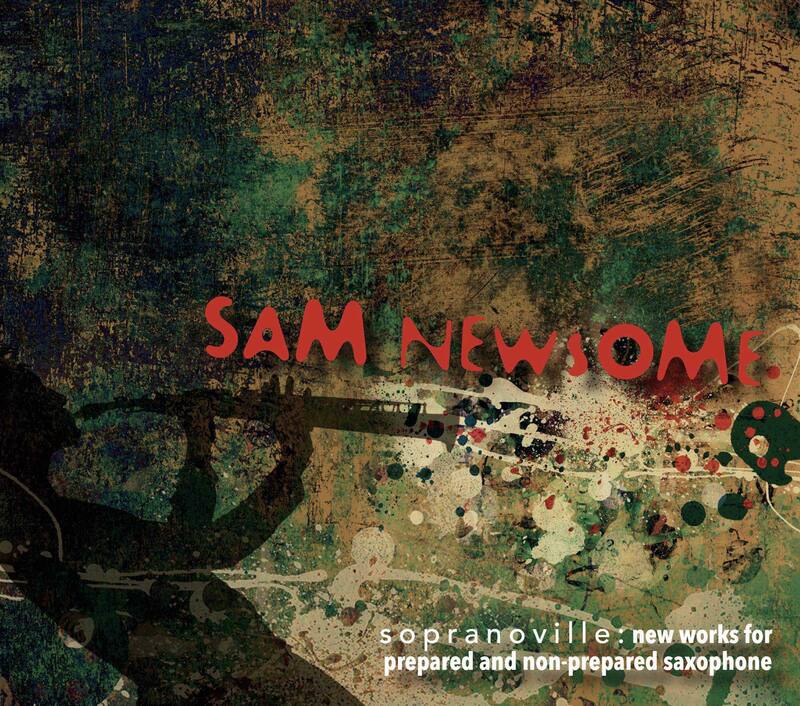 Not being terribly familiar with the works of Sam Newsome, I had (for some reason) assumed that he was focused on straight jazz. To my distinct pleasure, I was proven wrong by Sopranoville, his new experimental saxophone release. Subtitled “New Works for Prepared and Non-Prepared Saxophone,” the album consists of 22 short tracks all produced, in one way or another, by soprano sax. This involves not only overdubbing, but manipulating the sounds coming out of the instrument with tape, aluminum foil, reed straw, and so on. Through use of extended techniques, Newsome offers drones, squeaks, and percussive elements. Clearly, the focus is on experimentation – seeing how far the sonic envelope of the soprano can be pushed. To that end, Newsome not only elicits unconventional output from his instrument, but also crafts clever multi-track compositions in the studio – in some cases, up to fifteen sopranos are layered upon one another with an avant-orchestral flavor. That’s not to say that all of these pieces are abstract. On some, Newsome sets forth catchy, yet discordant, themes. But the focus here is new music. As solo sax recordings go, I remain a big fan of the Anthony Braxton / John Butcher styles and approaches. However, in view of Sopranoville, I’ll be adding Newsome to the list of individuals whose future output is of interest.